Summer is hotting up. Moved to my outdoor office today – so nice to work outdoors. 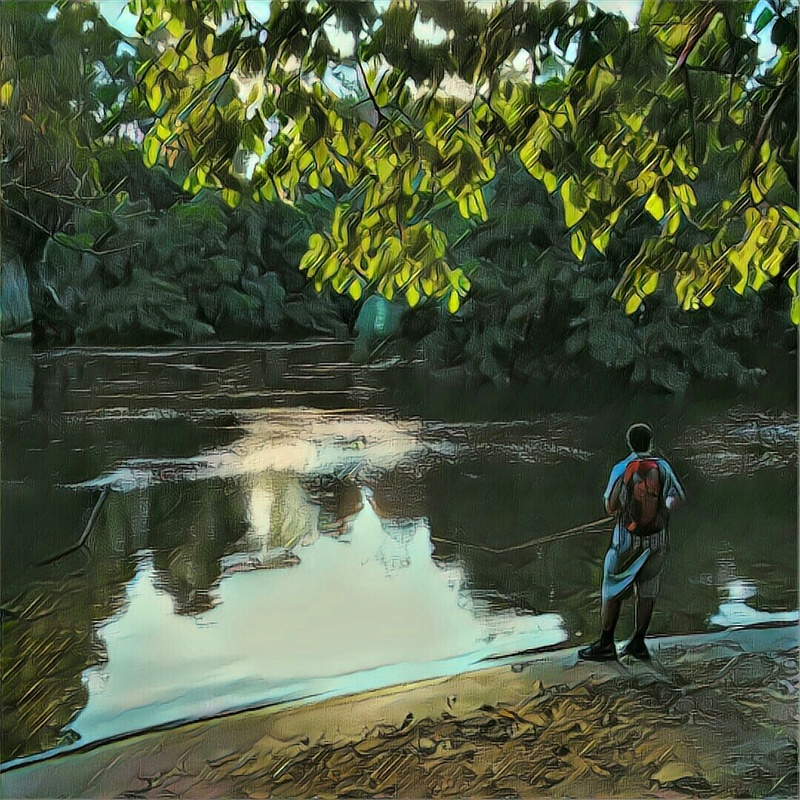 Nigel and I walked to the gardens and took a detour to the river where I snapped this angler fly fishing- reckoned he caught a good size trout this morning. The boys have gone up to a concert in Auckland. It’s a bit scary – my boys heading to the big city together! Back to work today. Strange to be back in front of a screen so it was good to go out for a walk when Nigel got home. We went up to the trig through the gardens. We’re very lucky to have such amazing gardens on our doorstep. 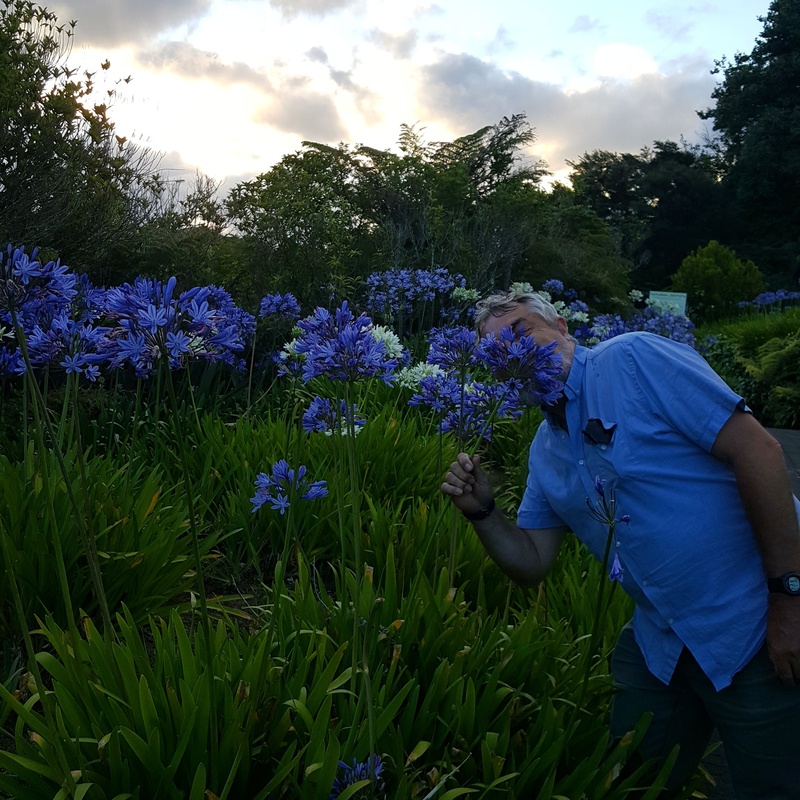 Here’s Nigel photo bombing my shot of the Agapanthus.